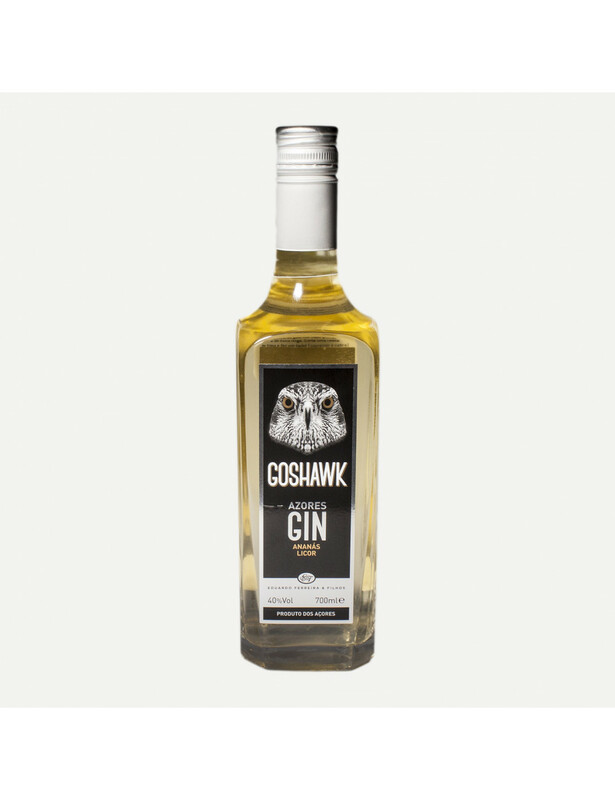 Pineapple gin produced in the island of São Miguel, by the company Goshawk. The best combination of distilled gin in the Azores and the famous azorean pineapples. Its uniquely balanced and fruity taste is due to the superior quality of our pineapple. Ingredients: distilled gin, water, sugar, alcohol and pineapple.